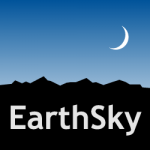 Lists of common full moon names – both by month and by season – for both the Northern and Southern Hemispheres. 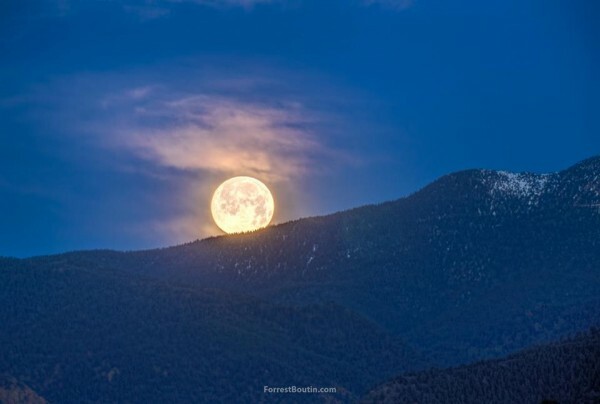 Full moon over Rillings Hills near Colorado Springs, Colorado, via Forrest Boutin Photography. Some almanacs like to give each month a special full moon name. Other almanacs like to reference full moons relative to seasonal markers, as defined by equinoxes and solstices. Is one way better than the other? No. Both have their roots in folklore. Of course, both the monthly names and the seasonal names necessarily favor either the Northern or Southern Hemisphere. That’s because the moon has different characteristics in the two hemispheres, at opposite times of year. 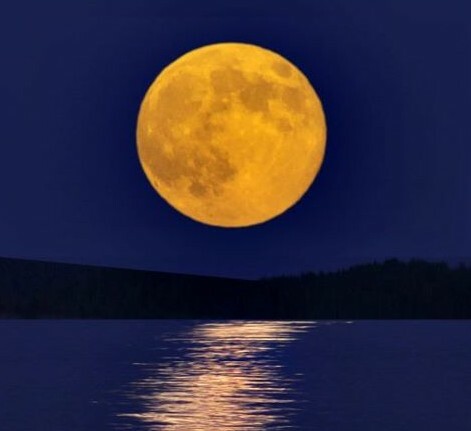 For example, the Harvest Moon is the full moon closest to the autumnal equinox. So it falls in September or October for the Northern Hemisphere, and it falls in March or April for the Southern Hemisphere. 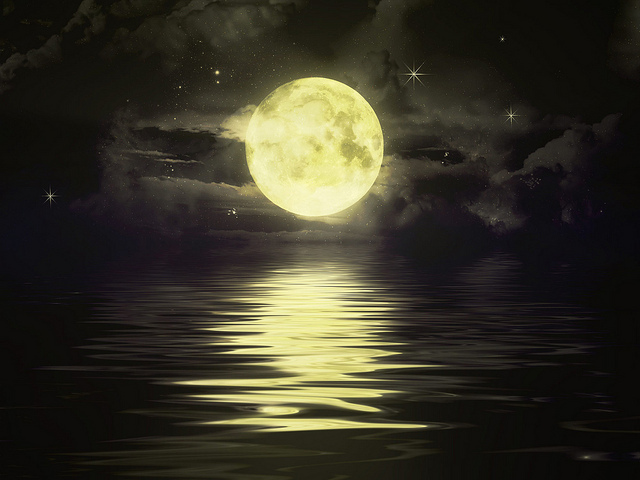 Find lists of common full moon names, below. Full moon setting. Photo via Carl Galloway. 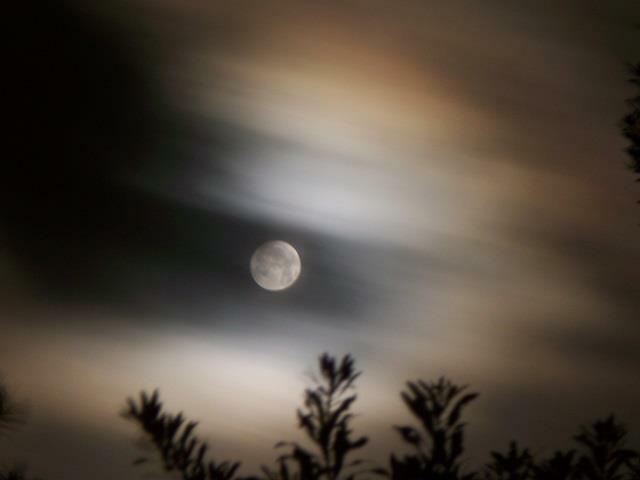 Full moon via EarthSky Facebook friend Lee Capps. About once every 19 years, February has no full moon at all. Moreover, in seven out of every 19 years, two full moons will fall in the same calendar month. And in a year where February has no full moon at all, like in the year 2018, you can actually have two full moons in January and two full moons in March, in which case you have eight calendar months with two full moons in one 19-year lunar cycle. The second of the month’s two full moons is popularly referred to as a Blue Moon. 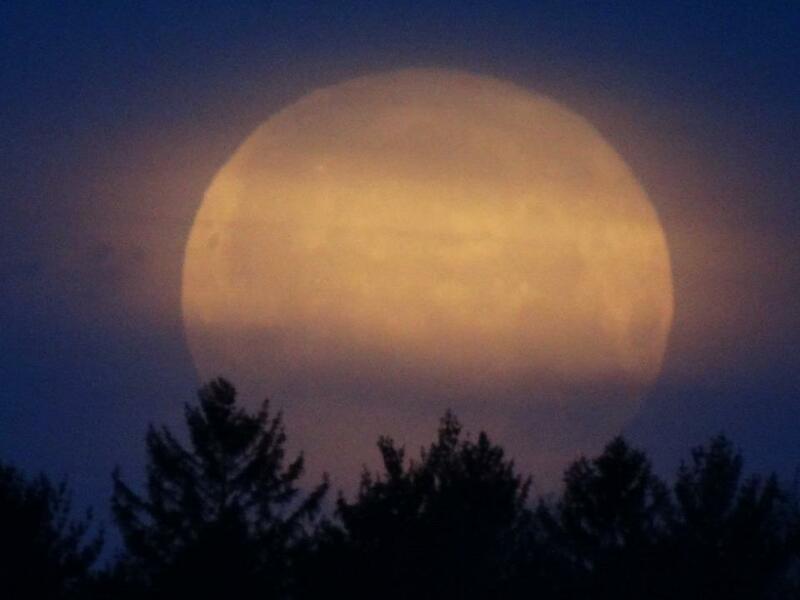 Read about the March Blue Moon. 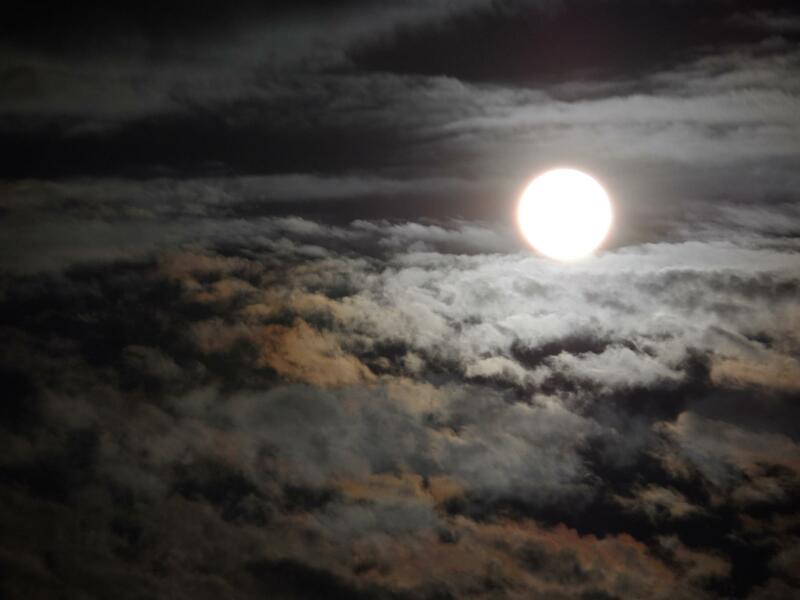 Full moon from EarthSky Facebook friend Fernando Alvarenga in San Salvador. 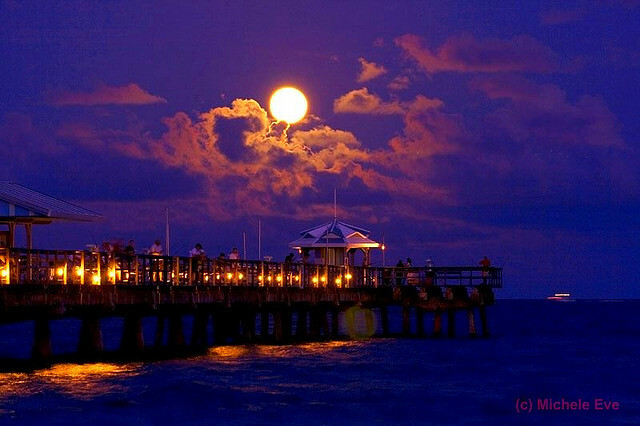 Full moon via Flickr user Ava Verino. There are usually three full moons between an equinox and a solstice, or vice versa. Seven times in 19 years, four full moons fall in a single season. In that case, the third of a season’s four full moons is also called a Blue Moon. The last Blue Moon by this definition happened on May 21, 2016 and the next will be on May 18, 2019. Possible to have only 2 full moons in a single season? Full moon via Michelle Eve Photography. Photo via EarthSky Facebook friend Patricia Smith Mims. Bottom line: Northern and Southern Hemisphere full moon names, listed first by month and then by season.